The not for profit organization "Wintu Tribe of Northern California", formerly known as the "Toyon Wintu Tribe" (Center), in June 2008 joined over a dozen other tribes in the state of California that have kicked out there members. Approxamately 18 other tribes in the state of california have reduced there membership rolls since 1998. Onl seven years after lucritive gaming was allowed, passed by initiative in 1990. Other tribes in the area that have reduced there rolls shortly after establishing gaming operations are: the Pit River Tribe, who reduced over a hundred Maidesi (a traditional Pit River band on the lowest courses of the river adjoining the Winnmem Wintu Territory) members; the Enterprise Rancheria of Maidu in Butte county removed approxamately 70 family members, and subsequently split into seperate and rival factions; and the Shasta Nation/ Tribe. Rival factions of the same Shasta Tribal Lineage from Siskiyou County as the Okwanuchu, and New River Shasta (see Saxey Kidd story). However of these examples, only the Shasta Tribe/ Nation remain not Federally Recognised by the Federal Government. Therefore without protections to its citizens and lands thereafter guarenteed, but also not allowed Indian Gaming on trust lands. This begs the question, if a tribe doesn't recieve benefits from the government, nor the right to game, what would the motives for dis-enrollments be? The Wintu Tribe are a non-federalized tribe residing in Shasta and Trinity (and southern Siskiyou) Counties in Northern California recorded as having resided along three main watercourses just south of Mount Shasta. At the time of contact with European Immigrants (settlers) in the 1840's the tribes population was around 27,000 Wintu. 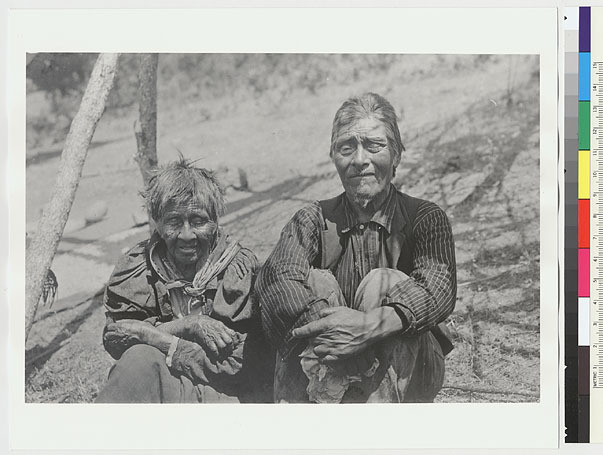 In three short decades, by 1880, our population had been reduced by thievery, enslavement, murder, starvation, diesease, and repeated forced removals to several area reservations (inculding Hoopa Valley, Nome Cult, Round Valley, Ft. Bidwell and others). Wintu members were allotted both individually and collectively throught the territory, but sporadically, leaving service for the BIA difficult and some postulate, in a calculated move, in an effort to deprive the Wintu of land rights to our lands that was so covetted by settlers for its water and gold bearing values. It was not long however, after a difficult period for the tribe from 1900-1930, as a result of a disruptive change in life patterns and reduced traditional food availability from devastating mining activity in the area, that the tribe was removed entirely from federal service rolls, and the Wintu members land that had been individually allotted and surrounding trust lands over a vast area along the Sacramento, McCloud and Lower Pit River's, were re-aquired by the Federal Government, under a land act to develop what is today known as the Central Valley Project or CVP. 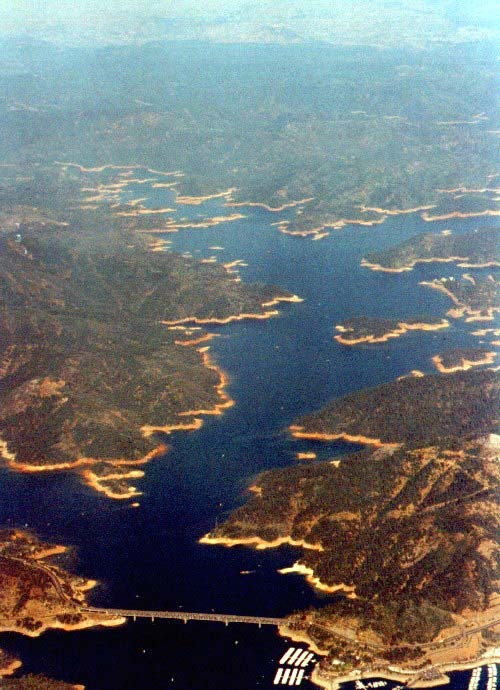 Subsequently the tribal members were removed, including this authors family, from beneath the lake and over 46 square miles of land were flooded to create todays Shasta Lake, just north of present day Redding. The Wintu Tribe remained landless (accept for the families above the high water mark of Lake Shasta, or elsewhere in Trad. terr.) until 1971, when motivated members of the Pit River and Wintu Tribes occupied the former Federal Facilities used by workers in the Constrcution of Shasta Dam decades prior. Utilizing a federal law that allowed for the use of federal facilities for the advancement of Native American Tribes (also how DQ Unv. in Davis was established the same year). The reservation at Toyon Center (Formerly known as Goverment Camp) was short lived however, when in 1987 (authour 8 years old at the time of removal from Toyon) local Non-Indian community members enticed Shasta County Offcials to "shut off the water mains to Toyon", subsequently the County deemed the facility unfit for habitation and ordered the forceful eviction by County Sheriffs, and weeks later our homes were bulldozed to the ground by D-9 cats emblazoned with "Bureau of Indian Affairs" crests. With the Wintu Tribe in dissaray for the last two decades (1987-2009), at odds with individual tribes right to self determination, the BIA instated the BAR process in 1976. And in 1983-84, four Wintu petitioners began processes of redress agaist the Federal Government for lack of services for over 70 years (original 4 Wintu petitioners). It was not until 1993 that the Curl-Malone faction of the Toyon Wintu were finally able to formally respond to the BIA and certify, by Federal deadline, that the tribe was in fact going to in fact then petition for federal recognition, after the closure of Toyon. Today the Tribal structure represents the reverberations of these recent historic events. In 1998 Gloria Gomez a Wintu Elder, and signee for Original Petitioner the "Wintun of Shasta" in 1984, left the Toyon Wintu Tribe. Gomez, citing improprieties in the election systems ran by a single family group the Curl-Malone Faction, was forced to defended her position. And this debate ended after a long court battle in Shasta County with Gomez retaining her original status as original petitioner of the "Wintu of Shasta". 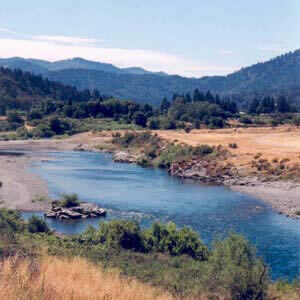 In 1998 Caleen Sisk and Jill Ward also left the Toyon Wintu Tribe after a heated debate ended in the formation of the Winnemem Wintu Organization (a not for profit org) as a modern emination of the former traditional Wintu Band hailing from the McCloud River, formerly traditionally led by the late Flora Curl-Jones. Sisk has repeatedly called upon local agencies, and citizens to support her bout for Federal Recognition and denounces future Wintu gaming on her website. Although donations are also solicited there. The Nor Rel Muk Nation, or Trinity Wintu, were also one of four original petitioners in 1984. The Nor-Rel-Muk, although retaining a common ancestry as the Shasta County Wintu people/ Tribes, the Modern political emination of the Trinity Wintu has chosen to remain auntonomous, and insular to the political issues of the Shasta County Wintu, since before the closure of Toyon. The Nor Rel Muk Nation holds their own elections, operates their own tribal offices, elects their own tribal council, and manages a seperates membership roll that that of the Shasta County bands. The latest addition to our dishonerable fractionization has been the establishement and formalizing of the new United Bands tribe/ council. Established sometime after the momentous illegal elections at Toyon in 2003, illegal adoption of new Toyon constitution in 2003, and trimming of the Tribal roll in 2001-03 by the Curl- Malone Toyon Wintu, over 200 members of the Wintu Tribe left the Toyon (after huge blocks were removed created fear in the membership) to join the United Bands, bolstering the United Bands Tribal Roll to over 350 individuals. Compared to the miniscule 91 members that the Curl-Malone family "allowed" onto the new roll prepared by themselves in 2003. Today (4/10/09) on their website, the Toyon Tribe Claims over 400 members. Talk began of the formulation of a consoladated Wintu Tribe encompassing all bands in 2003 (and much longer before by individual members) at a United Bands council meeting in March. And appears on their minutes. Hence the name "United Bands". The United Bands attourney Gorton-Moore & assoc. (former cold war USSR consultant) adamantly stated that within 4 years (2007 deadline) the United Bands would have recognition and that the "next day he was going to meet with Caleen Sisk and the Winnemem about consolodation of the bands", and later stated, "he had already spoken with the Curl-Malone" led faction of the Toyon Wintu and that the Legal team was making progress in the area of resolution. However as of April 2009, no action has been taken on concolodation of the Wintu Bands, either at the direction of Gorton & Moore (external to the tribe), or origination from a tribal member (internal to the tribe). However the recent disenrollments and their effects of disinfranchisement and denial of inclusion to community on these non-federalized Wintu Indian people is ongoing. And should not be the way the current leaders represent the legacy of the Wintu Tribe to all. It really is beyond me why anyone at the Curl- Malone Toyon Tribe would want to kick anyone out of the tribe, as they havn't been able to accomplish anything for the people aside from lining their own pockets for the last 20 years or so, and could use all the help and knowlege they can get. Accept that fear, misunderstandings, personal views and self image, greed and jealousy, have come in the way of what the Wintu leaders today should be doing to help the entire Wintu Membership, not small parties of questionable members looking for grant handouts in the name of all Wintu, that actually end up effecting very few, and are administered by the most incapable and dishonest among us. Linda Malone, ask your self one question, "is this the legacy I want to leave for my family in the future." People know. Disenrolling members is wrong. It strikes at the heart of the community. Not all disenrollments are for money and greed of millions of dollars. Some as we have seen here are personal attacks upon individuals both culturally and mentally and physically as well as legally. If the disenrolled ever find support enough to make it that far. This is why this website exists and the authours are not surprised at the continued vengeful actions perpetuated on the membership by the Curl- Malone family groups continued control of the Toyon Tribal Council. Hang in there members, this will not stand much longer.